Posted on March 9, 2011	by . I think it would be difficult to really understand land use discussions, especially about big zoning changes, unless one had some kind of grasp of FAR. I’ll admit that when someone cites an FAR number it’s kind of like trying to understand a cricket score. Is a FAR of 4.5 a good thing or a bad thing? Clearly there is a big difference between an FAR of .5 and 2.0 when looking at the visual representation. But it still depends on height and the size of the lot. The idea behind FAR is a sound one. It’s a way of compromising between simply limiting height or lot coverage and allowing the formation of an envelope on a lot. A developer can push around the potential use in a number of different ways and the local government can limit the density on the lot. Both sides have room for compromise (the city can demand less height, for example while not limiting the number of housing units). What’s the problem with FAR? Well, the City Council is using it as their main bargaining chip for public benefits. And what does the council consider a public benefit for increases in FAR: affordable housing. How does the Council define what’s affordable? The definition of affordable to them is 30 percent of a person’s income when that person is earning 80 percent of median income. If you provide a certain number of housing units at that price, the Council might give you some more FAR. 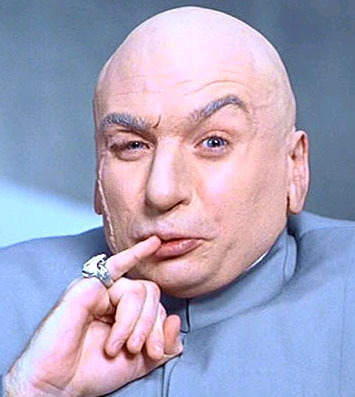 The Council reminds me of Doctor Evil in the Austin Powers movie when he threatens to hold the world ransom for . . . . The Council seems to be dead set on holding additional FAR in this town ransom not for one million dollars but for 18 percent of the bonus FAR being priced at 30 percent of monthly income for people who earn 80 percent of Area Median Income for a period of fifty years. This is what they call “incentive zoning.” Doesn’t exactly sound very clear or very appetizing, does it? It also seems pretty random when there is so much value out there to be captured from increasing developable square footage for housing, retail, and commercial space. Where’s Number 2 when we need him? Now this is not a problem with FAR per se, but rather how it’s being used. Battling over FAR and holding additional density hostage for a negligible public benefit is no way to run a railroad. This kind of thinking is actually suppressing housing supply when we need to increase housing supply. Increased FAR is, in a real sense, in and of itself a public benefit. But the Council seems to think that granting additional density is a bad thing that needs to be off set by some kind of penalty. A true incentive program would add value to development, not penalize it. Anyway, we’ll have to tackle some of this later, perhaps, in another post. This entry was posted in 2.Local change, 4. I don't understand. Bookmark the permalink. 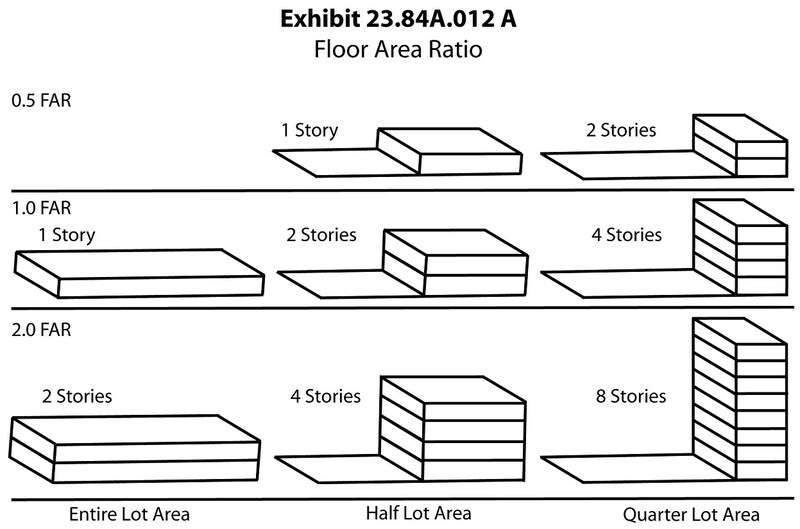 11 Responses to What is Floor Area Ratio (FAR)?